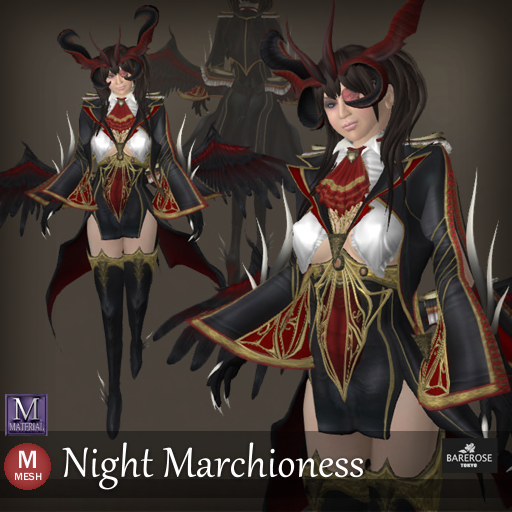 The Night Marchioness is a fantasy outfit for girls release in September by Bare Rose and it features a good blending of a falcon look, with 3 pairs of a wings like the seraphim's and comes together into a noble looking dress. From head to top, the outfit almost 20 pieces including alphas for various options and you can decide if you want some or even all the pieces together, giving you lots of flexibility. And watch out for those thorny heels. That really pack a power kick there. And here is a back view of the Night Marchioness. 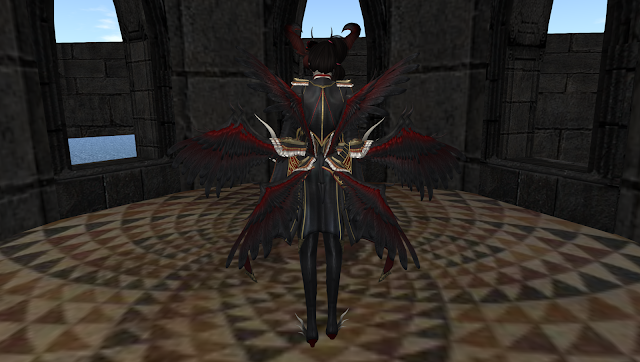 Gaze at the glory of the dark seraphic wings. You can also decide if you want some or all of them of course.